The academic team selected the topics for the twenty short illustrated films. We were aiming for these to be of 5 minutes duration, which we know is an appropriate time to engage young teachers and students! However, because so many of the sources and their interpretations are *new* to audiences, we found that most of the films needed 12 to 15 minutes to engage and explain the sources. Jon Calver, Technical Director of Historyworks, recorded all of these short films and edited them using final cut pro. It was Jon's idea too in the first workshops when it was hard for the academics to speak fluently for a wide audience beyond academia, that the best format would be for all of these short films to be 'in conversation' with a questioner from the academic team and an expert responding. The scripts were all shaped up by a process of a spine of the argument with the key sources mapped out by the academic team, and then the honing of the illustrative argument taking place with Helen and Jon helping listen and fill gaps in knowledge for a wider audience during the recording process, then skillfully edited by Jon afterwards! 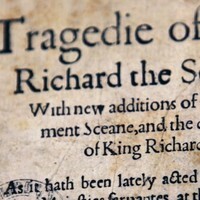 We early on made the decision together NOT to have these short films showing the academics on camera throughout, but instead to treat them as illustrated podcasts, so that the viewer would be focused all the time on learning about the look and interpretation of original seventeenth-century sources. Do find the 20 illustrated films here! 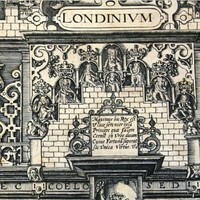 See below in the following sub-pages that there are a variety of subjects and speakers beyond the core academic team, including Professor Justin Champion, History Department at RHUL; Dr Ian Archer, History Faculty, Oxford University; Dr Alexandra Franklin of the Bodliean Library; and Matthew Winterbottom and Giovanni Vitelli of the Ashmolean Museum. 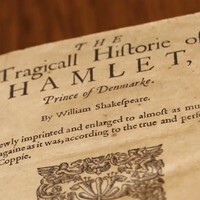 Hamlet is widely recognized as a succession play but how far is it a play about the Jacobean succession? 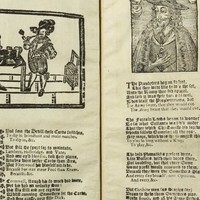 Performed in Elizabeth’s dying years, the play survives in three distinct versions printed after the accession of James VI of Scotland to the English throne: Quarto 1 (1603), Quarto 2 (1604/5), and the Folio (1623). 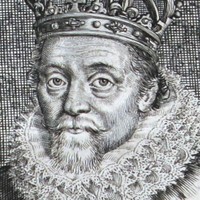 James claimed indefeasible hereditary right, but his title was fiercely contested before 1603 and variously construed thereafter in an outpouring of print in prose and verse. 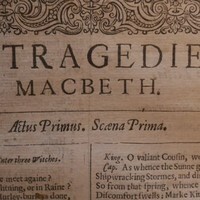 In this filmProfessor Paulina Kewes and Professor Andrew McRae discuss the significance ofHamlet’s textual transmission for the understanding of its engagement with the processes of regime change and, specifically, the first Stuart succession. 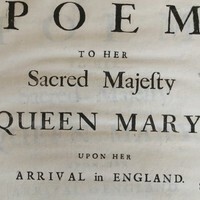 Popular, cheap literature offers an insight into the way political matters were discussed at street level and among those outside parliament and the court. 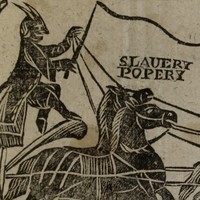 In an era long before television news, the printed broadside ballads offered a multi-media commentary on political affairs, framed as a song to be sung aloud and sometimes with an accompanying illustration. 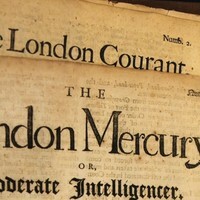 In this film Professor Andrew McRae and Dr Alexandra Franklin look at some ballads that commented on the tumultuous political changes of the Stuart period. 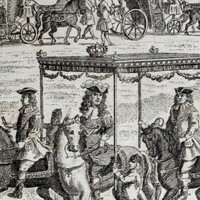 As part of the effort to signal the return to normality at the Restoration, Charles IIstaged a spectacular entry to the city of London on the eve of his coronation. But for all the emphasis in the spectacle on unity and legitimacy, it was difficult to conceal the very real ideological tensions in the city. 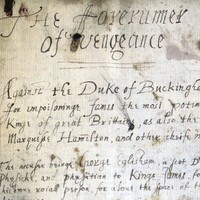 Although Londoners had been enthusiastic about the return of the king, they had varying expectations of Charles’ rule, and disagreements soon emerged over religion. 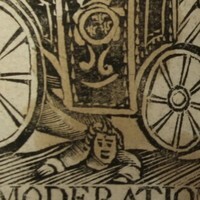 As Professor Ian Archer and Professor Paulina Kewes discuss in this film, that meant that the entry of 1661 was more divisive than previous such events. 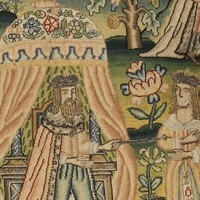 Royal marriages in early modern Europe were occasions to forge alliances on the diplomatic chessboard. 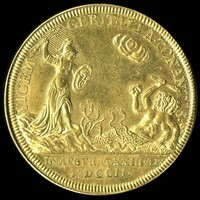 Many queens also came to wield influence over the political, religious and cultural lives of their adopted nations. 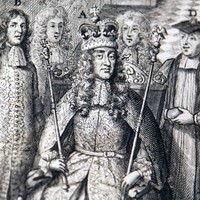 Hence the choice of bride forCharles II, thirty years old and unmarried when he returned to Britain in 1660, was hotly debated. Catherine of Braganza, daughter of the King of Portugal, was not an obvious choice; however, she brought with her a considerable dowry, including trading rights over the port of Bombay. She is also thought to have popularized a taste for one particular exotic commodity: tea. 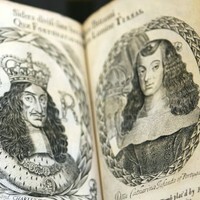 During the seventeenth century commemorative items such as mugs and plates began being produced for signficant royal occasions such as royal marriages, birthdays, and coronations. Delftware was one type of pottery that was frequently used for commemorative items. These commercial wares were sold to an emergent middle class who could afford to buy them. 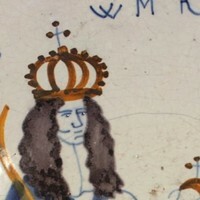 Portrayals of kings and queens on plates and mugs could influence the public reception of those monarchs and, as Matthew Winterbottomand Dr John West discuss in this film, engage with contemporary political debates about kingship and the future of the Stuart dynasty. In the summer of 1688, Mary of Modena, queen to James II, gave birth to a son, James Francis Edward Stuart. 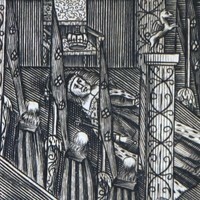 This boy was the heir to the throne and his birth was celebrated by many in the country. But others were less happy about the new arrival, seeing it as ushering in the prospect of a permanent Catholic dynasty in Britain. 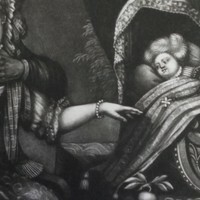 In numerous scandalous pamphlets and prints, the royal baby was presented as an imposter, a fraudulent child smuggled into the queen’s bedchamber in a warming pan. 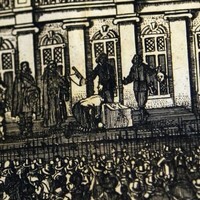 In this filmDr John West and Professor Paulina Kewes discuss the impact of this scandal on politics and culture in 1688.